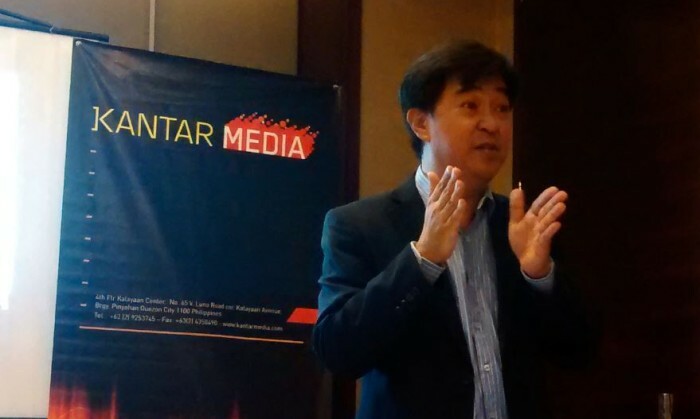 A pioneering Kantar Media study reveals that although Filipinos spend more time watching TV, those who listen to radio stay longer, confirming the media’s invaluable role even in today’s advertising mix. This is among the key findings of Tuning in to Radio, a first-of-its-kind study by Kantar and the RRC-KBP (Radio Research Council – Kapisanan ng mga Brodkaster ng Pilipinas) showing radio’s strengths a marketing medium. TV is the media of choice in the country, cornering a whopping 77% of total ad spend in 2013. But while the lead is far from the 18% stake of radio, Gabriel Buluran, Kantar Media general manager, defends that there are opportunities in using the medium most advertisers miss. 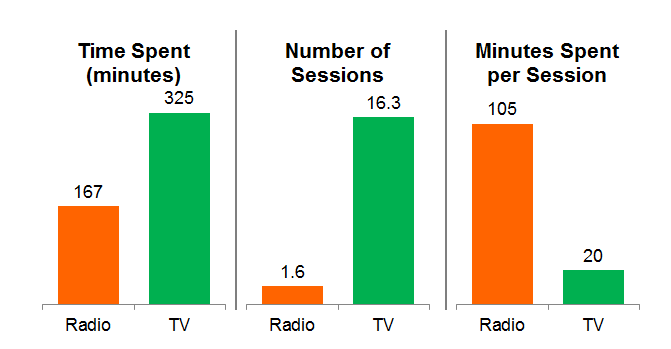 On average, radio listeners spend almost two sessions per day compared to TV viewers’ sixteen (16) sessions per day. However, they listen to the radio for 105 minutes per session compared to only 20 minutes per TV session. “This provides marketers an opportunity to communicate their messages to target radio listeners who stay tuned in for a longer period of time,” adds Buluran. Over two million respondents do their listening at home but the biggest opportunity to reach audiences is at work and during commutes. There are 300,000 Filipinos who listen at work and 100,000 while in transit at around 9:00 AM to 10:00 AM. “There are 2.34 million people pass through EDSA every day. The only touch point you have is through mobile devices, one of which is radio. For advertisers and networks this is something they should probably seriously look at,” Buluran recommends. He adds that brands can further promote their products and services by maximizing underutilized radio air time slots. While TV’s peak time is at noon (11:00 AM to 2:00 PM) and evening (6:00 PM to 11:00 PM), radio’s prime time is between (6:00 AM to 10:00 AM), which nets 4 million listeners, and hooks almost two (2) million during the late night block (9:00 PM onwards). Radio has even evolved to reach new audiences through their mobile phones. Around 33% of Filipinos listen to FM radio through mobile devices, but Buluran points out that TV has quickly responded to the trend. 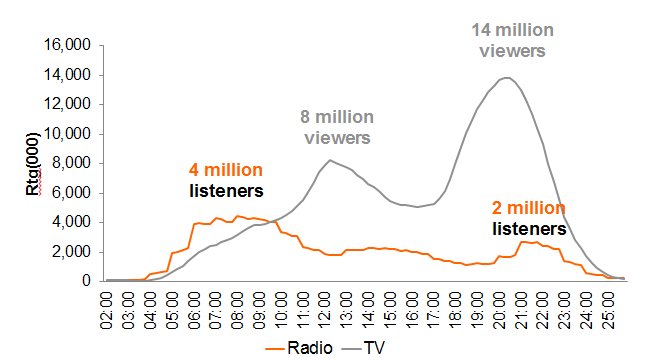 “The problem is, we know TV stations are going mobile. Before they arrive, [the radio industry] must protect its edge. Don’t wait for the dominant medium to encroach on the space that is exclusive to you now,” he adds. Buluran is referring to ABS-CBNMobile, a $3 billion network sharing deal between Globe Telecom which lets the media conglomerate stream programs exclusively to its subscribers on top of SMS, call and data services. LinkedIn has introduced its Content Marketing Score, a data-driven analytics tool that quantifies and benchmarks a brands’ content..
How do you make an ordinary collectible banknote extra special using technology? Read more on HSBC's marketing gimmick built into ..